I’m sure I’ve said this before, but I’d just like to touch upon one of my most cumbersome symptoms. Of course the mobility issues are huge as well, but no one should have to feel like this after sleeping 10 to 12 hours a night! I am still tired. My thinking is labored and endurance nonexistent. Fatigue engulfs and morphs my life and attitude. I am taking medication for it. As a matter of fact it seems to really be helping. The thing is I can’t seem to find it! The pharmacies are out. Can you imagine? So, when I spoke with my doctor he mentioned starting me on a generic amphetamine similar to Adderol. Also known as “uppers” on the streets! My word. Am I gonna become addicted to drugs? But then again I probably already am! I feel like I’m at my wits end. Ready to try anything. But, I have to admit I’ve never really changed my diet for Multiple Sclerosis. I’ve been hearing about two diets in particular. The Swank Diet and The Wahls Way. Both would be very dramatic changes for my husband and I. Though drastic, it seems worth it if it helps with my fatigue like they boast. The thing is I would hate to set myself up for a huge let down. *Unsaturated fat (oils) should be kept to 20-50 grams per day. *No red meat for the first year. *After the first year, 3 oz. of red meat is allowed once per week. *Dairy products must contain 1% or less butterfat unless otherwise noted. *No processed foods containing saturated fat. *Cod liver oil (1 tsp. or equivalent capsules) and a multi-vitamin and mineral supplement are recommended daily. Now guys this would be pretty hard for me to pull off! Especially, not without the help of my husband. The other diet the Wahls Way is pretty life changing as well, but has an intriguing back story. Dr. Terry Wahls not only created this stringent regimen but has Secondary Progressive M.S. herself! I hope you clicked on the link and heard her story. It’s mind blowing! Especially since I have secondary progressive M.S. as well. I’m not going to get into the specifics of Wahls Way but trust me when I say it looks pretty darn hard! But look at the diets and you tell me what you think. I’m so vulnerable right now I just might fall for anything. I just think if this diet craze thing were true, our doctors would have told us, right? Or are they holding back on us? Because as I see it, turning this into a nutritional thing pushes them right out of the ($)equation. But on the other hand, these other guys want us to buy($) into their ways too! I am trying to pick a diet, and I’m very confused. I was a pescatarian before I got my symptoms and ended up in a wheelchair. I was a health freak. Some diets recommend low-fat (pretty much what I was doing) and others recommend higher fat. I started drinking protein drinks with added coconut oil, and I think my muscles started to feel stronger. I guess Wahl’s might work better for me? I think the best diet is different for different people. I don’t think I’ve found mine yet. I am a health “nut” and have been for many years. I think I “caught” it (the health bug) because my father died of a heart condition at age 42. I don’t want to follow the same fate and I don’t want others to die young either. I listen to tons of health podcasts, mostly “paleo” and low-carb podcasts such as: The Livin’ La Vida Low-Carb Show with Jimmy Moore, the Wellness guys, and “Relentless Roger and the Caveman Doctor” and Carbohydrates Can Kill by Dr. Su. I have learned a wealth of health information and it like a web, because these podcasts link me with other sites and expert health practitioners and my knowledge keeps increasing and expanding. I just listen to the podcasts on my commute to and from work. That is how I learned about Dr. Terry Wahls, she was interviewed by Jimmy Moore I believe. It is an amazing story and like you said she is actually going to trouble of conducting scientific research on her diet. So I have learned the power of nutrition. It only makes sense that if we don’t have the building block that we need, since we are a entity of chemical reactions, that things will start to go wrong. I have started following the paleo diet, which is basically similar the Best Bet Diet and the Wahls’ Diet. I have notice improvements especially in my ability to think clearly. I also lost a lot of visceral fat (fat around organs near the belly). I have always been thin, but I had a little pot belly. Basically though it has been a process where I am learning all this information, much of it backed by science, and I am trying it and tweaking it as I go. Everyone is different. The book that got me on the Paleo kick was “The Paleo Solution” by Robb Wolf. It was a great inspirational and educational book that even has a one month menu that you can follow. His motto was…. try it for 30 days and see what happens. I have never felt better. I am adding things back and seeing what happens and experimenting. I think I do best without grains, except a little rice, and very little dairy and no legumes (except maybe green beans occasionally). It is an adventure. I have to admit that if I did not listen to these podcasts I would have fallen away from the diet/lifestyle, because it goes against the norms. So by listening to the podcasts a few times a week I continually get re-envigorated to stay the course. I would highly encourage you to try a paleo type diet like the Wahls’ diet. It take some getting used to, but the only side effects are improved health. And money-wise, most people could swing it. If a person stops buying processed foods, then they have more money to apply to healthy foods, plus the doctor bills and medication start getting cheaper. Pay now of pay later. So yes give it go! Steve, Thanks for the words of encouragenent! Did you get a blender? IF so how do you like it? In addition to diet, I’ve decided to try the Prokarin disc. I know it doesnt work for everyone, but I want to give it a shot. Getting a Dr. to prescribe it is the hard part, but I found a natural dr. who will give me a phone consult and then prescribe it. Cant wait for next week to get here!!!! The prokarin is expensive, but the first month is free to see if it works. I talked to Elaine Delack the inventor of Prokarin and she’s very nice about answering questions. Crossing my fingers on this one. Would cross my toes if I could feel them (ha ha). Have a great week end. Let me know how the new blender works as I might get one to go along with my juicer. With the warm weather coming a nice cold smoothie sounds delish. I read thru the Swank diet and aside from the beef issue, it seems to be a lot like 8 Minutes in the Morning by Jorge Cruise. I did it for a few weeks and felt really energized! There’s a lot of good fat vs bad and veggies and good proteins. Plus he throws in an 8 minute exercise thing. I’d recommend it–that way you can try the nutrition part easily. He has a quick start menu for a week…after that you could see how you feel. It’s easy to fall back into bad habits but I still have my book, so I’ll try it again. Charll, But the beef thing is pretty huge for me! Let me know how it goes the second time around. Thanks for reading! Linda, Thanks for reading the site. 3 months??? I can’t make any promises! I can understand your desire to kill other sentient being; I don’t even like to kill insects (except for mosquitoes). I also think that going vegan can be a great thing especially if it means not eating processed foods and added sugar and simple carbs. The act of removing thoses things will certainly make people feel better (after the possible withdrawal symptoms go away – the carb flu). I also agree that conventional feedlots are a terrible thing and it is bad to feed animal grain (it’s bad for us too!) and the living conditions are bad for the animals and for the environment. The animals are made to be unhealthy and unhealthy for us by skewing the omega-6 to omega-3 ratios. A grass feed animal has less inflammatory omega-6 and more anti-inflammatory omega-3 fats. Plus the grass-fed variety don’t need antibiotics which are bad for them and bad for us. So conventionally raised, mass produced animals are not the best thing for sure. The other thing I have to share is that according to experts, we as a species have never survived “in nature” (primitively) without eating meat. So if that is true, then are genes have evolved to expect and even require meat and the nutrients it provides. Supplements can help of course to fill in the gaps, but maybe we haven’t discovered all the nutrients yet or understand the nuances of different sources or synthetic verse organic versions. My diet evolves as I learn more and experiment. Go with it until it doesn’t work for you and then if necessary, you may need to look into responsibly raised, healthy animals to keep you on a road to health. I have heard a podcast about a 26-year vegan, John Nicholson (The Meat Fix), that got better at first, but then his health was not really so great and finally started eating meat again and his long-time health issues resolved. Nicole – My experience is we “try” new “diets” for a couple weeks…maybe a couple months…the challenge is that sometimes your body is so toxic it takes a while to adjust to a new way of eating and fueling your body. Sometimes there is some detox that will need to take place. I have been on that side of the journey for some time now. Take a look at this link and see what you think. Whole foods do heal – we don’t need testing and proof to know that processed foods and manipulated crops (wheat, corn, etc.) hurt us. Wish you the best! The whole do taste different. Thanks for reading and I’ll check out the site. Inspired by this post I looked into the Wahl’s diet. I think I get it! My interpretation is whole foods can slowly heal your body and restore function. Yesterday, I went to the grocery store and bought alot of organic veges, fruits and all natural chips and cookies for the family. I spent the same amount I would have normally on the junky foods. I am committed to giving this a try! While not officially diagnosed my neurologist thinks due to the widespread nerve damage my body has experienced he is still trying to rule out or confirm multiple sclerosis. I believe that these diet modifications take time, alot of time. Thank you for all who commented as to their positive experience with dietary changes! I was diagnosed three years ago and did (and am doing) the med thing. Last August, I watched “Fat, Sick and Nearly Dead” and figured the diet thing couldn’t hurt. I had heard about Dr. Swank’s diet and the MS Recovery Diet and looked at the Reboot plan. Pretty spendy! I don’t think that clearly and don’t have the money to follow the diets to the letter. So I modified it to fit our budget (or at least get close). It has made a tremendous difference — I tell everyone I can about hanging up my walker in October! I know it isn’t necessarily guaranteed to work for everyone but I know the difference it has made for me and I am grateful. Rhonda, You make me excited! Rhonda, That video got to me too!!! Was on the MS recovery diet then switched over to the Wahls diet. I still read all the success stories from the other diets to keep me motivated. All these people recovering from diets cant all be wrong so I’m sticking to it even if it takes a few years. I like to follow the Wahls foundation on Facebook to hear how others are doing and get recipe ideas. Would love hear more of your story. Congrats!!! Hello, I first have to say that it bugs me when I hear people say they want proof that diet works. There is nobody to pay for a diet trial because there is no money to be made from it. You cant patent a diet. I started on the MS recovery diet and switched to the Wahls diet. I feel that it’s my only hope and if it doesnt work…….. I’ll be the healthiest darn MS patent there is. I still cant walk (yet), but I had a ah ha moment at Christmas time. I didn’t cheat, but I didn’t have my usual amounts and ran out of greens. On the 3rd day I had the worst fatigue and could hardly get out of my bed. I jumped back on the plan and in 24 hours I was back to my usual. The only people who have reversed any MS symptoms has been by one of the diets. Food sensitivity seems to be the key and common thought. Have you read about Roger MacDougal (sp) He was blind and bedridden/wheelchair bound and in the 1950’s he started a similar diet. It took him 4 years to level out his disease and another 4 years to get back all his abilities. He died in old age with no MS symptoms (40 years symptom free). 8 years to get back my life and body seems better than what any Neurologist can offer me at this point. The diet isn’t that hard after the first month of giving up processed foods. You get over the cravings and it kind of makes you sick when you think of all the Toxic, man made stuff we’ve been putting in our bodies. No wonder it went haywire. Felecia, Thanks that said a whole lot! Can you help me out with the diet? Would love to help you out with the diet. I joined Dr.Wahls foundation facebook and read it daily for ideas and it keeps me motivated to hear how great others are doing…….. even people without MS but have other diseases like parkinsons etc. I rewatch all the wahls videos and just the other day I found a radio talk she did. I learned that the fruits should be the same color outside and inside like blueberries etc. She said not so great are apples, bananas, and pears. So…….. I tweaked my food supply some more. My newest exercise is a automatic bike peddler that I bought on Amazon. It pedals for me from a chair and I hope somewhere inside my brain can reconect with the motion. If anything it seems to keep my lower legs at a more regular temp. Sorry to ramble……… Email me with diet questions etc. After reading this post I ventured into the health food store. I am back to eating spinach salads and trying to stay away from processed foods! This post has my mind realing…I am going to try gluten free and look into the rest of these diets. I have a terrible time with my bladder and bowels and I am thinking that surely what I am eating will help…sigh….cross my fingers, I’m really gonna try! Thats great! The other day I ate two cups of kale. I never even heard of kale before! I am not a fan of vegatables at all so all this is a major drag. But growing up Portuguese, I LOVE kale soup. Imagine my surprise to learn it is actually a vegatable, and a really good one. What a relief! I don’t know what I thought it was before but just thrilled that I have been getting in some good greens without knowing it! Yvonne, Good for you! You are one step ahead of me! It could’ve been me writing this Nicole.. You took the words right out of my mouth. I’m typing this from my bed at the moment I am so fatigued….. I too have secondary progressive MS and at the moment every day is a challenge. I’m glad I’m not the only one thinking the same as you……. Louise, No you are certainly not by yourself! You can email me too through contact me. Interesting reading the responses from everyone. We can all benefit from eating a healthier diet. I am wary of any of these diets that claim a miracle or a cure. Where is the evidence to back the anecdotal testimonies? And especially any diets or nutrition plans that require money to use their product? There are physical therapists who show over and over with MS that most of us can get stronger with repeated effort and well planned exercise. We may not turn into super athletes, but we can improve our condition in even a small way. The people who go from extreme mobility problems to marathon runners or mountain climbers don’t do it over night with a change of diet. It takes a long time to condition the body to perform in a different way. It takes dedication and determination and I am always happy to read about MSers who have turned their physical condition around. A part of this success could also be part of the remitting part of this disease – remissions have been known to even last for decades. I would love to think that nutrition could make us all better in the MS department, but I haven’t seen the evidence. They are doing a study of the Swank diet through a university in Oregon and those results should be available sometime next year. It might put the discussion about the Swank diet on the front page or to rest once and for all. I hope all this that I said comes out right. Good luck with considering your options – it certainly won’t hurt you to try some changes. Nicole, I find it so frustrating sometimes to navigate the who-to-believe questions! When people claim that a diet, or a drug, or an herbal supplement, or whatever is THE answer, even THE cure, I always feel a healthy dose of skepticism and a twinge of hope. I’ve been toying with trying the Walhs diet as well. Good luck with your efforts if you decide to go for it a major diet change. Please keep us posted on how it goes! I’ve had the Wahi diet recommended to me (described on her TED talk, available via http://carboholicsanonymous.blogspot.com/2011/12/using-hunter-gatherer-diet-to-overcome.html), and I myself follow Matt vanBenSchotten’s (mmvbs.com) zero-dairy-and-zero-means-!zero! diet. None of these things are commercially published under somebody’s name, possibly because they’re so easy to follow and don’t really lend themselves to conveniently-packaged *anythings*. If there’s one thing I’ve learned from having The Disease, it’s this: what helps YOU, helps YOU, whether it helps anybody else or not. Dr. Matt’s diet has been helping me, so I’m following it. It’s definitely doing *something* good. I dunno about “curing,” but “improving”… well, you take what you can get in the M.S. biz. And really, if all we do is follow the basic advice “If it was grown BY a plant, eat it; if it was made IN a plant, don’t,” we’ll probably be well on our way to fine. Roberto, Thanks again for perspective. I always get more out of it than you know. I can’t really afford Dr. Wahl’s way. I always wished that they would include a – “This is how YOU can afford grass fed meats and organic fruits and veggies guide”. The one thing that I gleaned from watching her presentation was care for the mitochondria, and she mentioned fish oils. So it took some time, but I got a really large container of some of the spiffiest EFA + D3 pills that they provided, and I have been taking them. I still get tired, but I can say that the cog fog isn’t quite as bad – Im impressed and although those pills are very large, Ill take them. I hope you find a way that works out for you! Max, I thing thats Gonna be the key, finding what works for me! Olivia, thanks for the support! I have had RRMS for over 10 years and have looked into both Swank and Wahl’s diet and Wahl’s does have me intrigued, although I am not sure I could adhere to any strict diet with my lifestyle. Right now I use Provigil for my all consuming fatigue. Even with insurance I pay $50 for a 30 day supply of 200mg tablets. I save money by taking only what I need, when I need it, cutting the pills in half and even in quarters. I’ve also added quite a few supplements to my regimen: B complex with folic acid and vitamin C, 5000 IU Vitamin D3, CoQ10, Zinc, calcium citrate/magnesium, and recently lycopene and grapefruit seed extract. I also carry a bottle of 3000 IU sublingual B12 with me in case I need a more natural boost during the day. I’ve had a rough couple of weeks but I am usually able to deal with the fatigue and make it through the day. Debby, good for you it sounds like you are giving it your best shot! 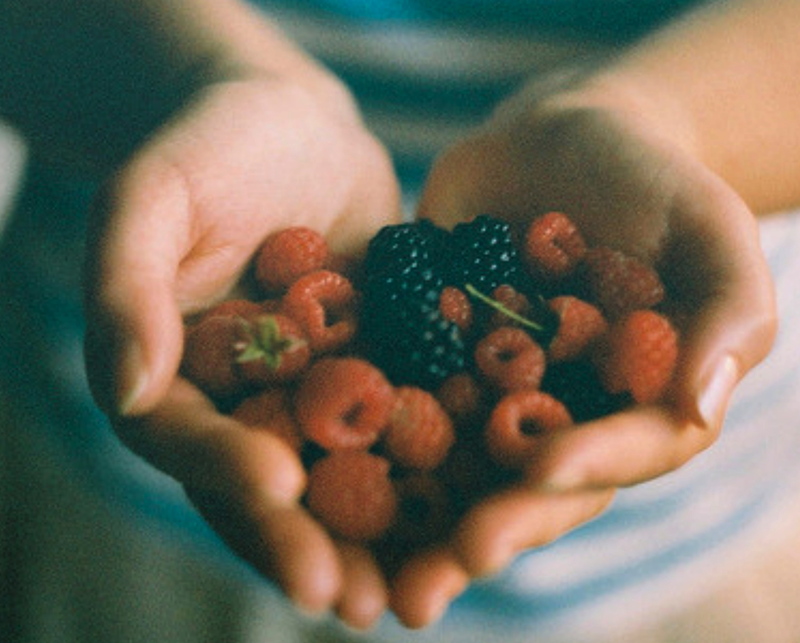 nice post, and I love the berries!!! they are a mainstay around here. I happen to know that even Dr. Wahls is still in discovery mode….what worked so well for her may not work for everyone’s body… But we’re all in it together, online, discussing and sharing info.. Info that prescribing doctors just don’t have. the Best Bet Diet, is Ashton Embry’s. He is a Canadian researcher whose son developed MS. He heads the 2nd largest MS Charity in Canada and helps a lot of MSers. I use the recipes from that website. I wish you all the best in whatever you decide works for you. Ease into it. there is so much info available…Dr. Wahls lends her credibility as a scientist, and someone whose MS improved dramatically in a relatively short time. What she advises is to at least go gluten and dairy free, pronto. and maybe eventually find a functional Doctor who can help determine what’s right for you, and test for food sensitivities. You have little to lose ( some dollars, perhaps) and potentially a lot to gain. Toni, thanks for the advice! And thanks for reading my blog! Check out the MS Recovery Diet Book — ann sawyer. Read the recovery stories! Check out the MS Recovery Diet book — has the story of ann sawyer in it. She recovered using diet — early on in the disease process — but she recovered from fairly considerable injury. I have pursued modified swank diet for a year now — now relapses! Just common sense fruit and vegetables, low saturated fat and dairy. Not bad at all — whole foods — nutrition! Like they used to do with modification. Regina I will check it out. Thanks for the input. Hi Nicole, Hope you are feeling well. I have to be honest, with primary progressive MS I adhere to no diet and eat exactly what I want. I guess I feel I owe it to myself. I will not let MS take away my chocolate and other goodies I enjoy eating. I am not overweight as eating is not my favorite thing to do. I do take Provigil so I can stay up all day without a nap! I have found this to be a miracle drug. Lisa, Yes it use to be for me too. Catlin, I believe the generic for Provigil is modafil or something like that. I like you started to research the various nutritional aspects. I started following the Swank Diet outline. When I started this journey – 7 years ago, I was using a walker on my worst days otherwise a cane. I had great difficulties with my mobility. Now, I am running and for the second year a member of a run club. I am currently training for a 10 mile race. My training consists of me doing one 12 mile run per week. Now this is a person who started this journey weighing over 280 lbs and I am currently over 50 years old. Now my weight is down, my heart rate and blood pressure are excelllent. My fatigue and stability levels have improved drastically. So I agree with you – can it be done -= YES!!! But it takes time and total devotion to a new nutrition lifestyle. Pam, Now you are an inspiration! When I was diagnosed 25 years ago I read The Swank Diet and tried it for awhile. It was one of the few “diets” out there that addressed our needs. I thought it was pretty radical and I could not sustain on the foods he prescribed to eat. There are people I’ve met over the years who swear by it, but I just don’t think it’s a workable way to live your life. Life should be about a way of life, not “dieting” the Swank way for your whole life. Believe me, if there were a good enough diet for my fatigue AND to lose the weight I’ve put on over the years, I would jump on it!!! Coincidentally, while on the MS Walk this weekend a friend of mine told me about Dr. Wahl. She heard about it through a friend whose mother-in-law has secondary progressive MS. I am halfway through the youtube presentation of Dr. Wahl’s findings, so I’ll have to get back to you regarding my thoughts on it. I hope I find it’s a sustainable way of life. I’ve found that over the years there is no quick cure – but hey! – you never know. There also were no medications 25 years ago when I was diagnosed – so there are a lot of big steps forward going on in our favor – including HOPE! I hope I haven’t rambled on too much and have addressed some of your questions. I hope you visit me on my brand new blog, AnEmpoweredSpirit.com, and leave some of your comments, suggestions and ideas. I’d be honored to have you! Cathy, Yes please do let me know what you think of the Wahl thing. I know it no quick fix, but it seems like I am leaning that way. And sure I’ll be happy to stop by your site! I have been on the SWANK diet since I was diagnosed in 2009. It’s not that hard to adhere to after the first few weeks. I was never much of a processed food eater though, and was a vegetarian for over half my life, so maybe that’s why it wasn’t a radical change for me. Does it help? Well, it’s not a miracle cure, but I have no problem with fatigue. At the onset of MS, I thought I had narcolepsy! So it certainly has helped that! I don’t believe that diet halts the progression of MS, but I think it is one more tool we can use to help combat the disease. 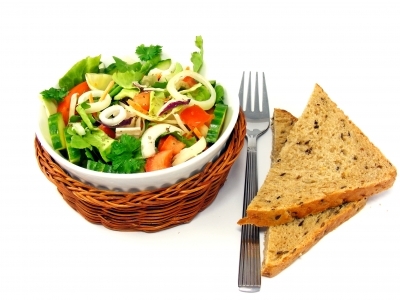 A lot of people claim that removing gluten from their diet helps with symptom relief. I tried that, but it didn’t make a difference for me. Thing is, eating healthier is never a bad thing. I would rather adjust my diet than swallow pills that have in themselves a whole slew of other side effects. It can’t hurt to try one of these diets. And…it just may help. Karen, thanks for the advice. I like thinking this is one more tool we can use to combat the disease. That works for me! I have a dietitian (nutritionist with a degree)for a sister-in-law. I know one of her classes was on diets impact on various illnesses. When her class starting studying MS, she came back and asked me if I have tried any of the “MS diets,” and she seemed surprised when I said “no.” I told her I would be more open to the diets if I saw they had been effective in any sort of clinical trial or even comparative trial. I’m just not a big believer in anecdotal evidence when talking about MS progression. It’s too variable to start. Especially if one is trying to focus in on this one thing causes that other change because it did so Aunt Jane’s sister’s brother-in-law. I told her about the bee sting therapy for which I still get well meaning emails from friends telling me to look into it because their friend’s friend’s mom was cured by a bee sting. When she took my answer back to her class, she said nobody including the teacher could cite such evidence. I still find myself wanting to see some sort of clinical trial data. Heck, fish oil which I believe is part of many of the diets finally had results of a 2 year trial published. No effect on progression was shown when compared to the placebo pills. Granted there are plausible explanations for why no great results were found in this study. It’s just the only study I’ve seen reported. I am just wary of anything touting a magic cure beyond that which we would get from eating a normal healthy diet. Truth told though, I am up for a good placebo if it’s not too much trouble. My problem is my suspicious nature. Dr. Terry Wahl claims she has clinical data! I’ve been reading posts on msworld.org, and their are some who say the Swank diet has been helpful. It can’t hurt. They are also recommending gluten free, which might be easier. You can try incorporating the “don’t haves” one at a time, instead of all at once. And, of course, there are OTC supplements that MSers swear by for fatigue. Malic Acid, Alpha Lipoic Acid and Acetyl L Carntine are the ones that the posters seem to like. I have just started on some of these, so stand by for results. Either way, they can’t hurt. Good Luck! Ok, so I just used “their” instead of “there”. ACK!! Melissa, Thanks alot. I’ll also look into those supplements. Nicole, I am going to try Dr. Wahl’s way. I’m hesitating tho. Just procrastination. Betty, I think you said the key thing. I can that. Change slowly. That sounds like a good idea! I also had debilitating fatigue, and I tried the Swank Diet, didn’t help..tried gluten-free…didn’t help, and it made me VERY crabby! I was at my wits end, and I was feeling like MS was my entire existence, rather than being a wife & mommy. My Doctor put me on Provigil/Modafanil, and it changed my life!!!! I take 200 mg a day, and I no longer feel like I am merely existing! It was spendy for the first year, but now there is a generic equivalent, so it is the best $5 a month I spend! I have been on it for over a year, and I will never go back to life with fatigue! I hope you check it out, as it has changed my life! Hedi, So glad you found what you needed! Yahoo! Do you have name of generic equiv? insurance changed me to Nuvigil (still pricey) and I’d love to go on a generic! THANKS for good feedback. Heldi, Thanks for lookin’ out. I just recently learned of the Wahls way myself, and have slowly been adding it into my diet. I was already on the Best Bet Diet (which didn’t do much except help me lose some extra pounds!) and when I saw Dr Wahls story, I couldn’t help but go for it. Here is the thing– Her story is evidence that this diet can work. And the best part? It can do you no harm! All you are doing is adding in tons of nutrients, so it can only be good for you. I have started eating spinach, kale, & parsley salads with sliced almonds and a small drizzle of olive oil every day for lunch. I am feeling better. I feel like I am cooling my insides, If that makes sense. Husband is on board with me, helping me try new recipes, new vegetables, etc. Lots of greens and fruits are quite delicious once you start eating them so often. I have even found myself craving kale- raw, bitter kale! It seems weird but it is true. I also have the book on the Swank diet. Tried it for a few weeks but didn’t really “feel” it if you know what I mean. Wahls way was the first one that felt natural, normal and right for my body. It may be a few big hurdles to jump through to make these changes, but as I have found myself saying so often these days, what else have we got to lose?? Best of luck to you in your decision. Sarah, Good for you! Quick question. Does the food have to be organic? Oh Nicole, I hate to be negative, but this is so full of it and it makes me so angry! I was a fitness- health food junky. I used to run 5 miles ever day, and do yoga. I had cut out wheat, hydrog oils, hi fructose corn syrup, sugar, artificial sweeteners, and even aluminum in my deodorant…all before I got sick! I have primary progressive MS and it irks me no end when people say its cuz of the way I eat! Certainly do eat healthier: veggies and fruit, but please don’t expect a miracle. You are handling the hand dealt to you so well. False hopes just frustrate us more. Tammy, Yes false hope hurts like hell. Both diets seem extreme, but extreme problems call for extreme solutions. Danielle, You are so right! Funny thing is I never really thought about it that way. Thanks for the input. Extreme for the Extreme… I never thought of it that way but it’s so true. Ally, your right. thanks for reading. Hi Nicole I think we have a lot in common. I too struggle with major fatigue. At one point my neuro put me on Nuvigil which I like to call “legal speed.” It works on an isolated basis-meaning I take it when I absolutely MUST have energy and can totally crash the next day. It stopped working after three days when I tried to take it on a daily basis. Anyway, I also struggle with eating right, mostly because I HATE vegatables. I did see Dr. Wahls plan but way too intimidating. So instead, I am trying to compromise a bit and go Montel’s way. I make fruit smoothies and sneak in kale and spinach. The fruit really disguises the veggies. I am tackling this topoc on my next two blogs. Plus, I am determined to drink more water. Can’t tell you if it is working or not as I just started and often, I am too freaking tired to wash and cut all the fruit! I swear Montel has an assistant who does it for him! I have had MS for a while, about 12 years. I have tried lots of different diets. No longer eat beef nor pork and thrive in fresh vegetable and fruits. This seems to work better for me. I try to the least fat as possible. MS seems to work better for me this way. Still have struggles but they are better with less weight on and better food choices. I do take supplements of Vitamin C, B12, Cod Liver, and D3. They seem to give me that extra boost. I also blend fruits and green vegetables which has really kept my weight down. I haven’t had to get steroid injections recently. Hopefully I am doing something right that is helping my body. I have recently come with a new diagnosis of renal tubular acidosis (RTA) but trying to take it all in stride and learn as much as I can. I am having the same problem with the med!!!! Never realized how dependent my body had become until I ran out! So glad you posted about diet. I firmly believe that what you eat has a great deal to do with how you feel, not just mood wise but energy wise as well. I have been using veganism and the raw food diet quite successfully for some time. I have MS and train (swimming) up to 3 hours a day. About 5-6 years ago I had difficulty walking a few blocks. I am currently preparing for a 10k swim which I will need to complete in about 3.5 hours. I choose veganism because it uses less energy than any other form of eating to digest and process food. This helps me save energy for everything else I need to do. I also choose it because of the healing power of antioxidants (found in raw fruits and veggies) which help with inflammation. I would be interested to know if there are others out there who are vegans and/or raw foodies.